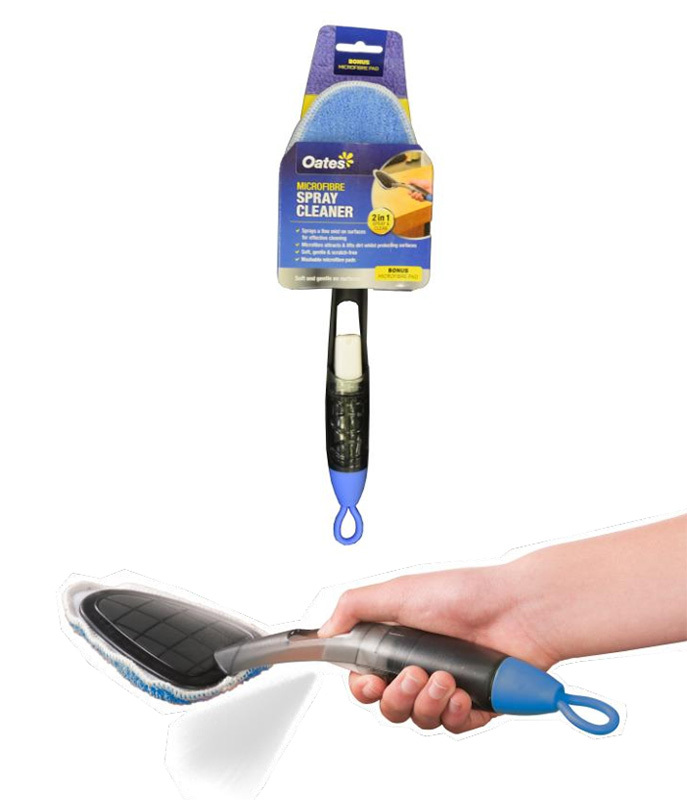 This 2-in-1 microfiber spray cleaner attracts and lifts dirt while protecting surfaces. It is handy, soft, gentle, and scratch free cleaner. To use, simply unscrew end cap, fill with cleaning solution or water, replace end cap and press trigger to spray mist over desired area. It sprays a fine mist on surfaces for effective cleaning. It includes 2 x Washable Microfibre pads, and 1 x spray cleaner unit.